A lot of people make the common mistake of thinking that the home of theme parks is only open to tourists during the summer months but Orlando has plenty to offer in the winter months. Both Disney and Universal Studios each have their own holiday experiences, Mickey Mouse’s Christmas Party and the Macy’s Holiday Parade respectively, and because the temperature rarely drops below 70°F you’ll never find yourself shivering. However, if you’re not a fan of theme parks there’s still plenty for you to do in Orlando with a Polar Express running from Mount Dora, incredible Christmas lights at Jeterbend and a spectacular Now Snowing festival in the town of Celebration, where the streets are coated in fake snow. 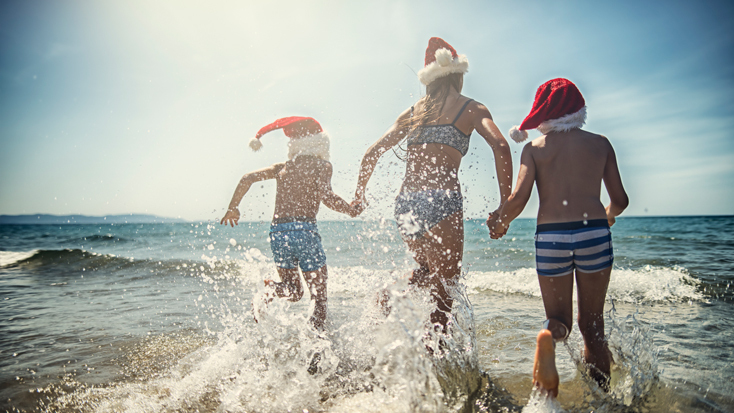 If you want a more relaxed vibe throughout the Christmas period, with less commercialism and more reverence for the religious aspect of the holiday, then Cyprus is a brilliant destination. The island fasts for 40 days up to Christmas and throughout advent there’s constant singing from carollers each night. While you are likely to find many Christmas trees set up in the windows of living rooms, there’s also a tradition of placing Poinsettias outside that fills the street with crimson flowers. Importantly, Santa Claus doesn’t exist in Cyprus and is instead replaced by Saint Vasilis to maintain the holy focus of the holiday.